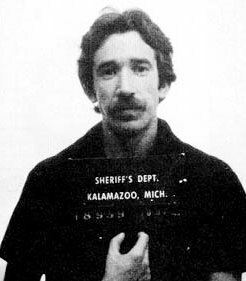 In 1978, Tim Allen was arrested in the Kalamazoo/Battle Creek International Airport for possession of over 650 g (1.4 lb) of cocaine. He subsequently pled guilty to drug trafficking charges, and was sentenced to three to seven years in prison. He was paroled on June 12, 1981 after serving 28 months in Federal Correctional Institution in Sandstone, Minnesota. Tim Allen plays the Kitchener Aud tonight at 7. Fans of the hit television series Home Improvement and family movies, including The Santa Clause and Toy Story series, will be thrilled to learn actor and comedian Tim Allen will take the stage Oct. 3 at The Aud in Kitchener. Showtime is 7 p.m.Allen, best known for playing Tim The Tool Man on Home Improvement, will perform his hilarious stand-up routine for one night only. Allen honed his talents as a stand-up comic throughout the 1980s, providing the perfect lead-in to his highly successful ABC television series Home Improvement. The series garnered Allen a Golden Globe Award and an Emmy Award nomination. He was also honoured with the People’s Choice Award for Favourite Male Performer in a Television Series for an unprecedented eight years in a row. In November 1994, Allen simultaneously starred in the #1 film at the box office, “The Santa Clause; earned #1 status on the New York Times best-seller list for his book, Don’t Stand Too Close to a Naked Man; and appeared in the #1 series on TV, “Home Improvement. Allen has most recently delighted moviegoers with his roles in Toy Story 3, Wild Hogs and The Santa Clause 3. Don’t miss this hilarious household name, when he performs one show only on Oct. 3 at The Aud. Tickets go on sale Wednesday, July 28 at 10 a.m. and are available by phone at 519-578-1570 or 1-800-265-8977; online or in person at The Aud box office or Centre in the Square.Ticket prices are $74, $64, or $54 plus applicable service charges. Costs: $74, $64 or $54 plus applicable service charges.